11/17 kale, sorrel, and persimmons! Here’s the produce that came in my CSA box this week. 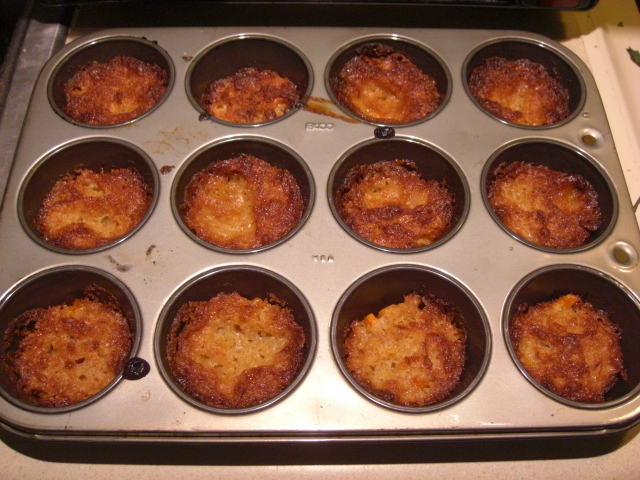 Instead, I made persimmon mini-cobblers. The idea was solid. 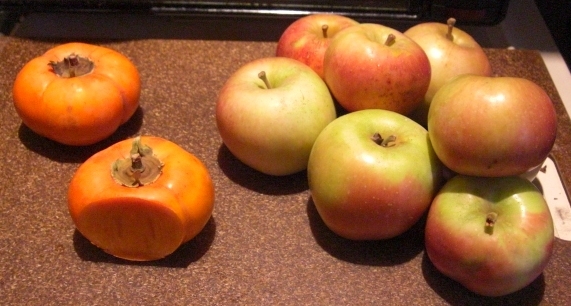 The only problem was that two persimmons makes about 1 ½ cups of diced fruit – about half of what I needed. I should have made half a dozen cobblers, but I spread the fruit thin and went with the whole dozen. It’s tasty as cobbler, but the cobbler part completely overwhelms the persimmon part. The nut mix makes a great afternoon snack – lots of energy from nuts instead of sugar. I like afternoon snacks in fall and winter, especially. 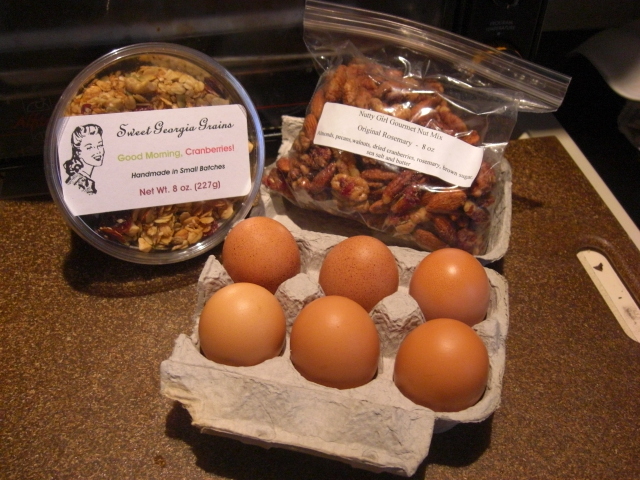 Speaking of fall and winter, I’m going to have my granola as some kind of hot breakfast. Cold milk on cold mornings just doesn’t work well for me. Make it like oatmeal ½ cup granola to 1 cup simmering milk per serving. 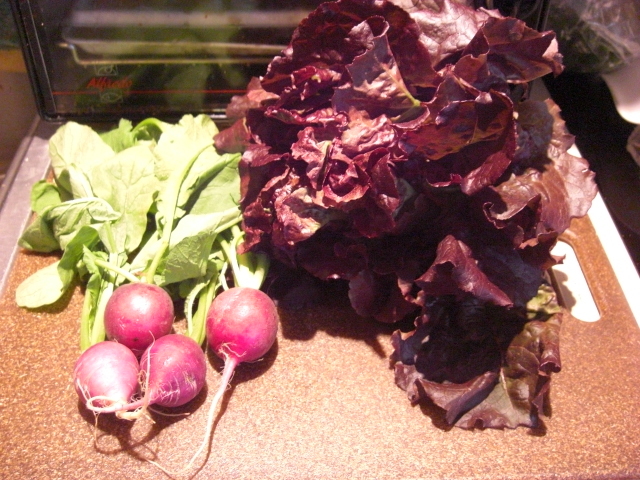 Well, here’s a no-brainer – lettuce and sliced radishes. 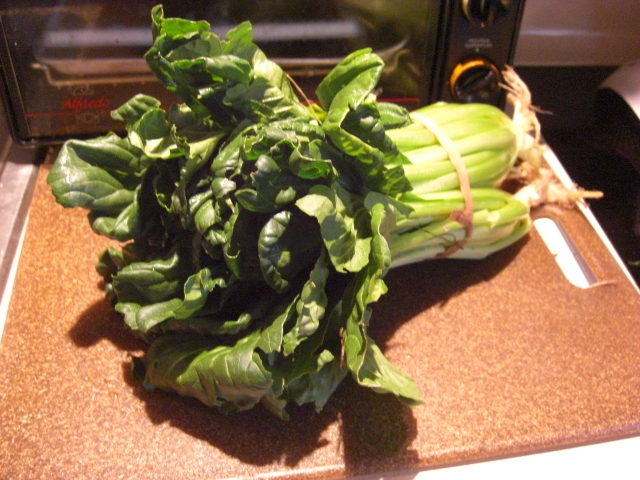 Some of the radish greens looked nice, so I threw them in the crisper to cook with some older turnip greens. 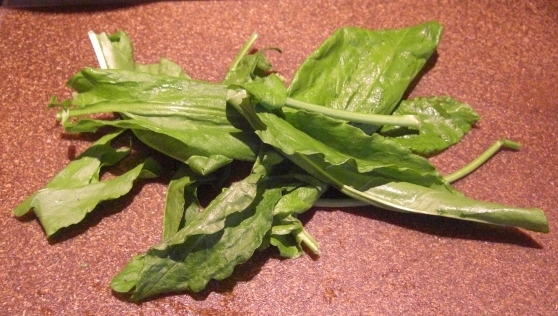 Fran suggested using these herbs in salad. That sounds good. 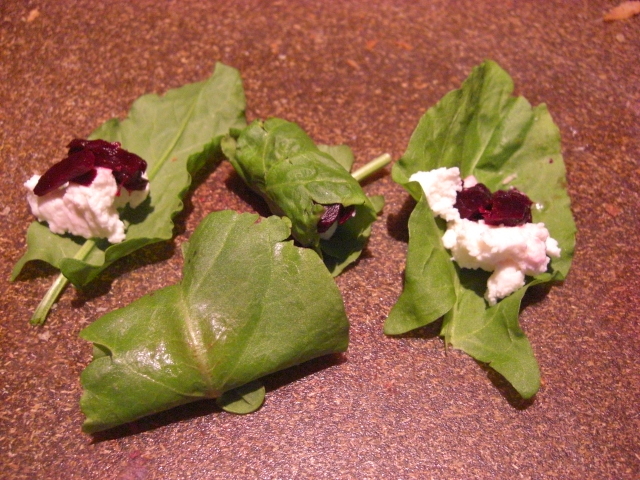 Be sure to include the stems of the par-cel. You could also make an herb vinaigrette with the stronger herbs (thyme, rosemary, and savory). Here’s a site that discusses making vinaigrettes. 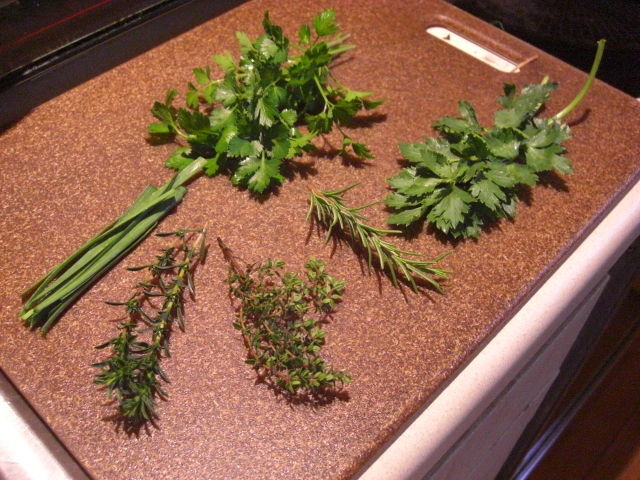 I love all these herbs, and while I would enjoy them in salad, they make me want to cook a chicken. I have a couple of local chickens in the freezer, so I’m considering defrosting one this week. In the meantime, I’m storing the parsley and par-cel in a glass covered with a plastic bag in the fridge. 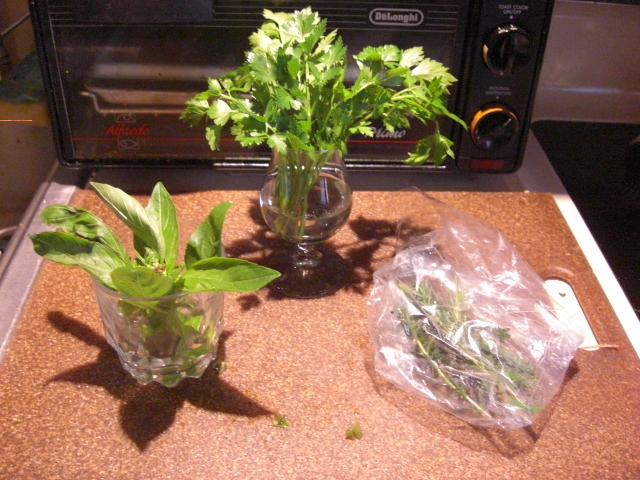 The other herbs I just put back in the bag (after turning the bag inside out). I’ll keep an eye on them to make sure they don’t get all mushy before I can get to chicken-cooking. 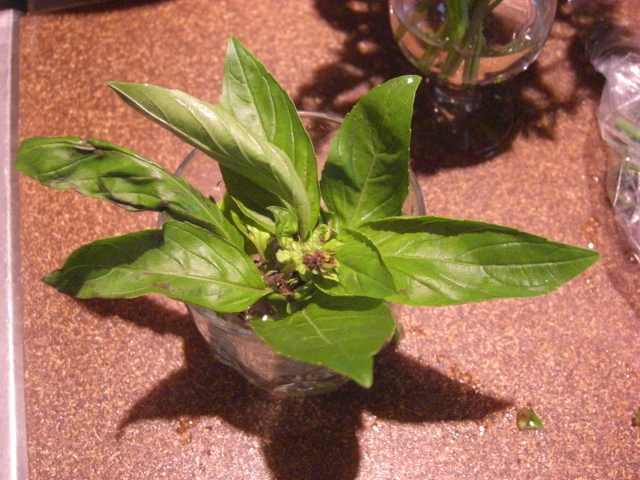 The basil in the picture above has been in a glass of water on the kitchen table for a week now. Some of the pieces went south, and I had to use them right away. But the ones that remained have lasted beautifully. Now that’s some good-looking week-old basil. 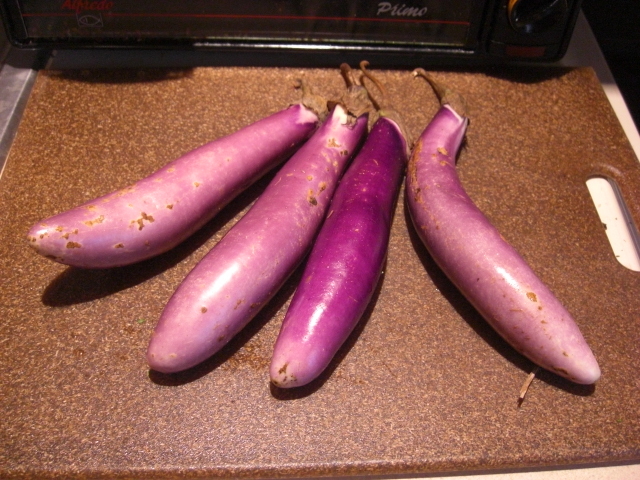 It’s November: I no longer have eggplant adventures in my brain, so I’m just going to peel, slice, and fry these suckers. 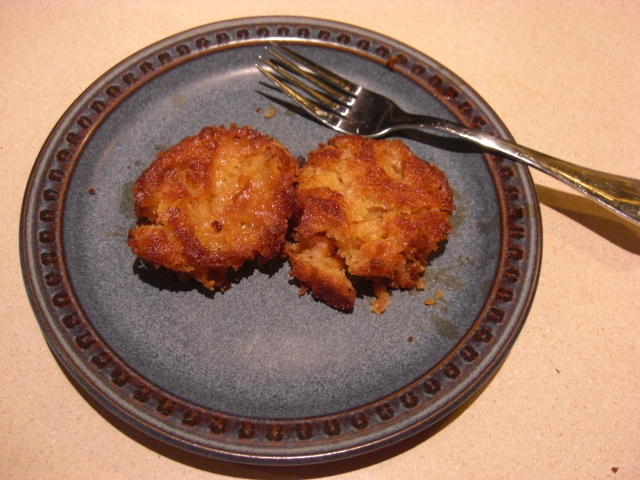 I’ll use an egg wash and a mixture of panko and flour for breading, and I’ll fry in plain old olive oil. Bet hot, luscious, melty fried eggplant will taste even better on a nippy evening. Woo-hoo! 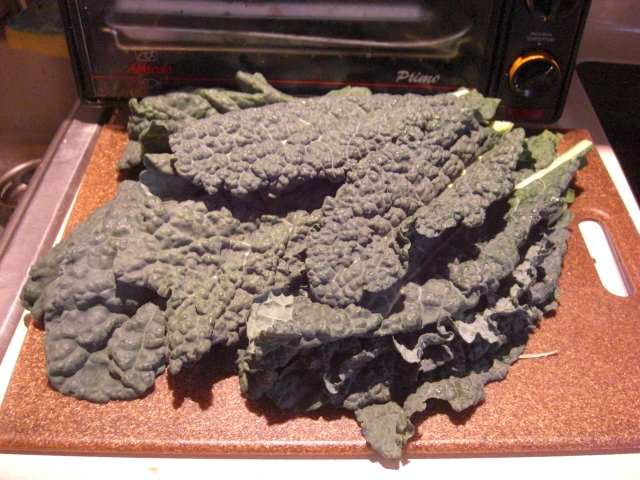 Now we can have the original kale with raisins and pine nuts. The only problem is we have so many greens to get through first that we probably won’t eat this till next week. Hang in there, kale. We’ll be with you soon! These specimens are real beauties: firm, heavy, with great color. 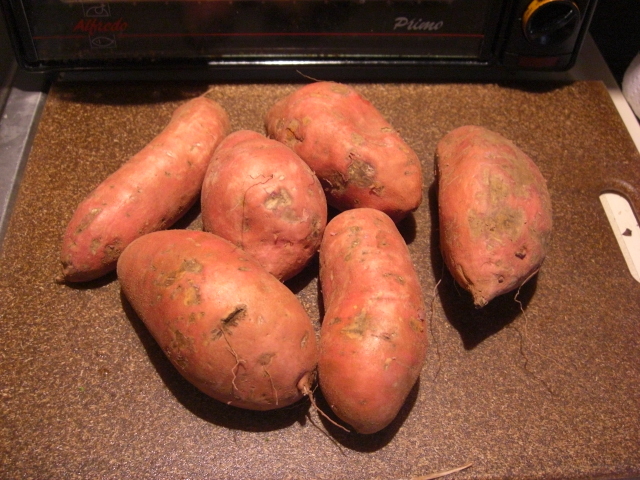 I’ve been peeling, cubing, and roasting sweet potatoes lately because they’ve been small and uneven. These guys will be baked and proudly served in their skins. I also stopped by the store in Carrollton Saturday to pick up a few things. The candles are a treat. 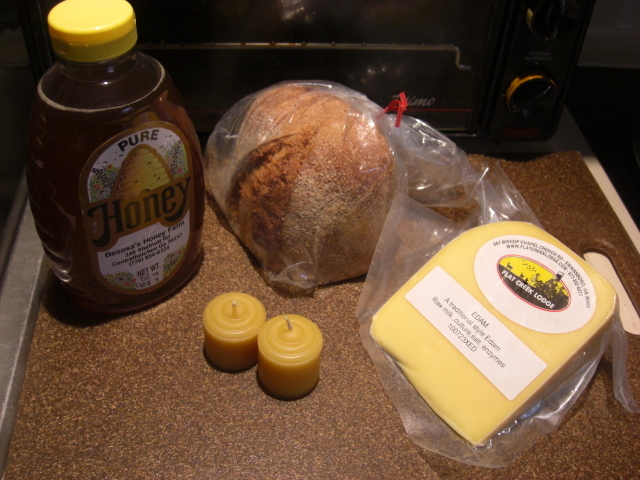 They have a subtle honey smell and no added chemicals. I get headaches burning anything else inside.